Muscle strength and power allow us to lift, push, or pull a certain weight. Strong muscles help support our joints, keep our bodies upright and mobile, and improve our balance. At about age 30, we begin to lose 5% muscle mass every ten years, therefore, it is important to participate in regular strength training. 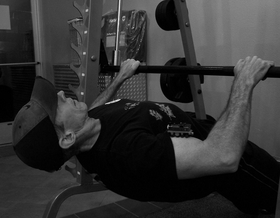 While it is easier to maintain muscle mass, it is never too late to develop stronger muscles. Muscle endurance is the ability to perform repetitive movement with less fatigue. Increasing muscle endurance gives you more energy throughout your day and enables athletes to perform at a higher level. Regardless of your fitness level or age, you can build muscle strength, power, and endurance to continue participating in activities you enjoy with less effort and less chance of injury.